Credit: Stellwagen Bank National Marine Sanctuary. Photo taken under NOAA Fisheries Permit #775-1875. 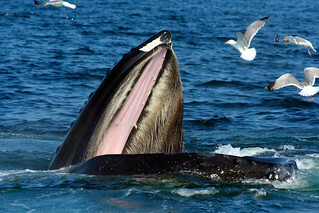 Caption: Feeding humpback whale in Stellwagen Bank National Marine Sanctuary.